has percolated in the Northwest for decades, but the idea has gained new momentum. The mighty Columbia and Snake rivers are synonymous with salmon. As many as 16 million once returned to these rivers each year. Despite significant declines, our salmon runs still hold tremendous cultural and economic value for Northwest tribes and river and coastal communities. So an Aug. 12 opinion piece seriously missed the mark by calling four obsolete lower Snake River dams "our most important regional asset." That piece ignored a rising threat to Snake River salmon: warm water. Average summer water temperatures have steadily increased over the past 60 years. Warm water encourages disease, delays salmon migration, and depletes salmon's energy reserves. Salmon that stop or slow their migration, and languish in warm water, begin dying from stress and disease. What does warm water have to do with dams? The lower Snake dams create large, shallow reservoirs that trap the sun's heat and warm the river until it becomes uninhabitable for salmon during much of the summer. 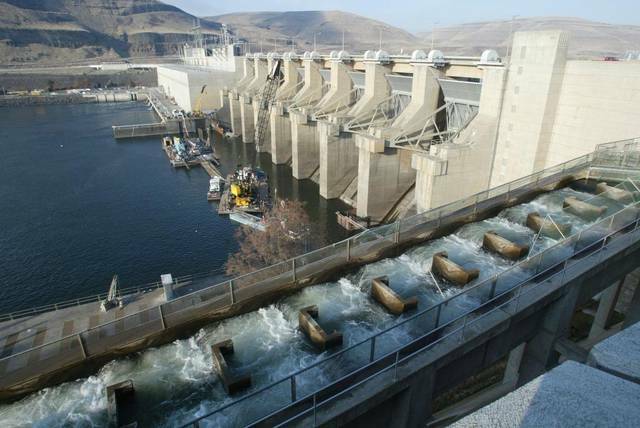 Computer modeling shows that removing the lower four Snake dams could solve the would allow threatened Snake River spring Chinook to recover. Keeping the dams would not. The pro-dam article also failed to mention that 96 percent of the "record" 2015 Snake River sockeye run died because of hot water. Those endangered sockeye never made it past the four lower Snake dams. This year is hardly better; about 657 endangered sockeye returned to the Snake, but nearly two-thirds died (or will soon die) without making it past Little Goose Dam in eastern Washington. It's increasingly obvious that we must choose Snake River salmon -- and the jobs, cultures, and ecosystems they support -- or the four lower Snake dams. We can choose free-flowing rivers, teeming with fish. We can choose vibrant commercial, subsistence, and recreational fisheries from Southeast Alaska to Astoria, Oregon, to central Idaho. We can choose to protect and restore salmon, the emblem of the Northwest. If we needed these four dams, the choice might be tougher. Fortunately, the lower Snake dams only make about 4 percent of the Northwest's electricity, and our region already produces more power than we use. What's more, regional power planning models show that we could replace the lower Snake dams' electricity without burning fossil fuels or breaking the bank -- while improving the reliability of our electrical grid. To be part of the growing movement fighting for our iconic salmon, join tribal leaders, salmon advocates, and keynote speaker Winona LaDuke at the fourth annual "Free the Snake Flotilla" near Lewiston, Idaho, on September 8. Brett VandenHeuvel is Executive Director of Columbia Riverkeeper.